It only takes a few minutes a day. You indeed have this power! The Art of Conscious Creation, How You Can Transform the World will show you how to find it, use it and craft a life of your own choosing…instead of letting life happen to you. You’ll discover how to use your personal energy to manifest what you desire faster and easier, and then to use those same skills to create a better, healthier more peaceful and joyful world. Tune your energy frequency to attract greater joy, love and prosperity in your life and bring peace, prosperity, ecological balance, and kindness to the planet. Become a “High Frequency Flyer!” and manifest your desires quickly! Master the 25 Guiding Universal Principles to living a happier, more fulfilling life. The Law of Attraction is ONLY ONE of these! 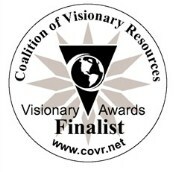 Join with others to magnify the power of your thoughts for global change. “Surf the Love Vibration” to smooth your path in life. Transform your old “energy habits” into new tools to help you Consciously Create the life you desire. Discover how you can use visualization to transform your life. 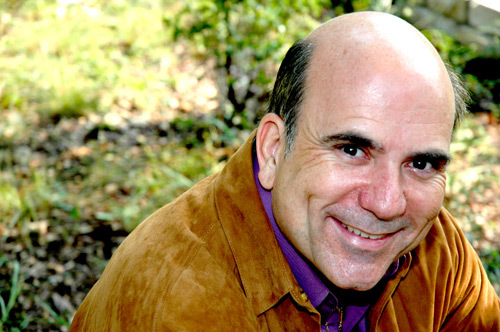 Understand why the science of Conscious Creation works! Free the world of hate, war, rage, hunger, and environmental destruction and build a future world of peace, love, cooperation among all races and beliefs. Live your ideal life in an ideal world. 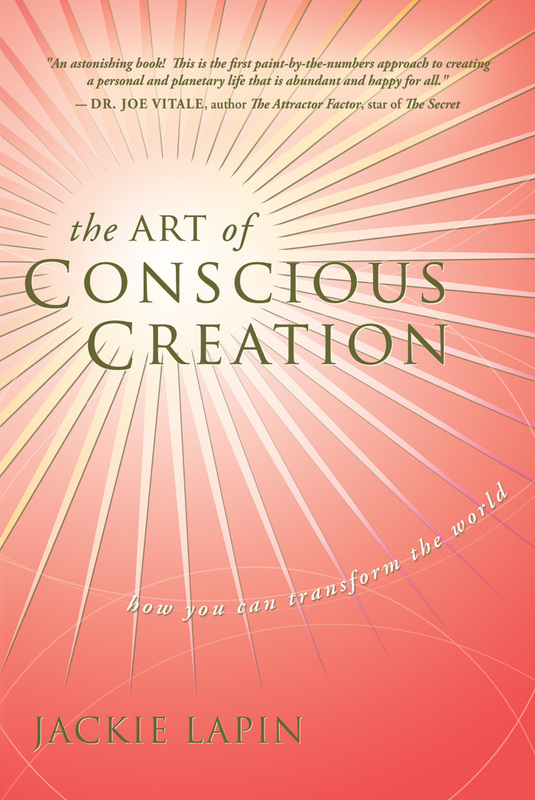 The Art of Conscious Creation, How You Can Transform the World has already become the #1 New Age book on Amazon. Now is the time to take charge of your life! 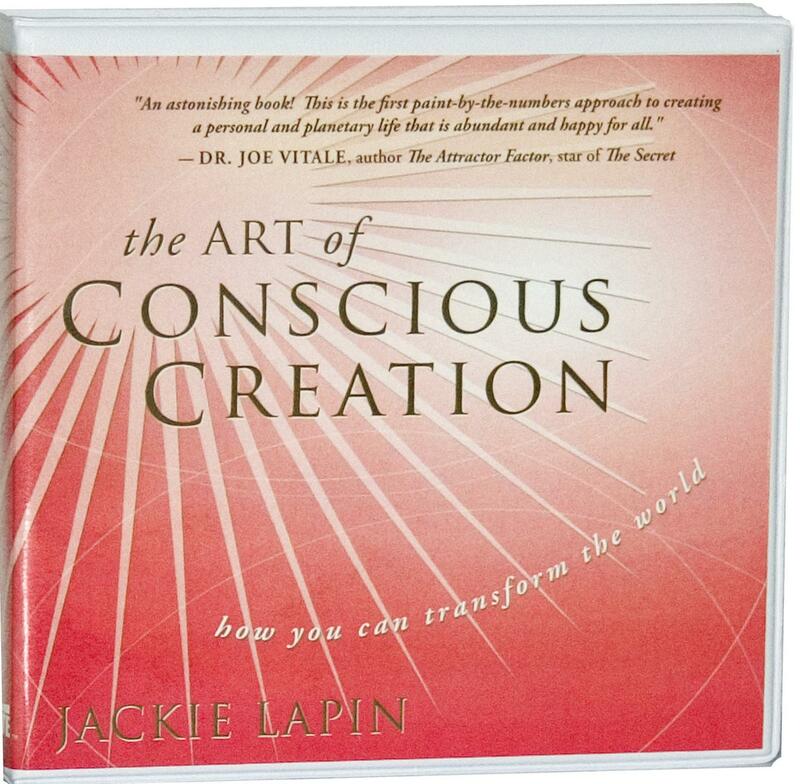 Jackie Lapin’s book teaches readers practical ways to Consciously Create the lives they desire and manifest a better world. Discover the 25 Guiding Universal Principles to leading a happier, more fulfilling life. 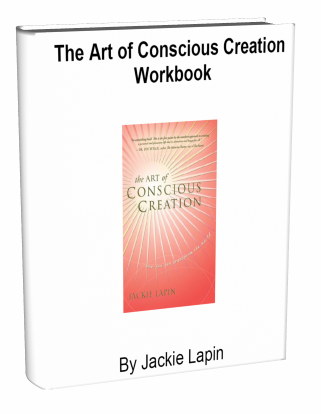 Explore the science behind why Conscious Creation works! See how you can use these techniques on behalf of the planet. 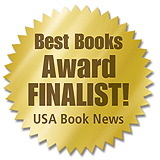 Features 17 powerful visions for world healing! 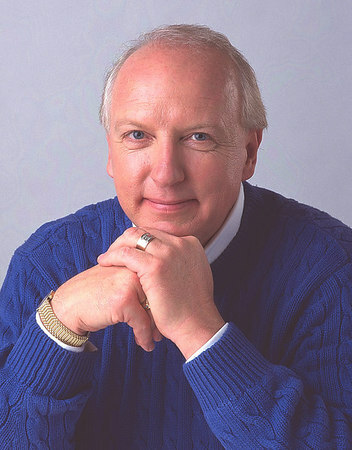 Lapin is the founder of United World Healing, an international organization uniting millions around the world in daily acts of Conscious Creation. The accompanying 90+page Workbook offers more than 100 thought-provoking, results-producing exercises based on the book, exercises that will guide you to a higher frequency and begin training your mind to become a prolific producer of effective Conscious Creations.